Ready to Sky-ROCK-et Your Sales and Connections? Check out LinkedIn Makeover Magic! ​ Whether you're an introvert or an outgoing ninja networker, get ready to ROCK the career of your dreams with this exclusive LinkedIn Makeover Magic! Stop guessing: leverage data from >17MM to uncover why you ROCK & how to apply your gifts. Let's get you focused, energized and out of overwhelm. get crystal clear on exactly HOW to create a career and life you'll love w/a smart 90-Day Game Plan. 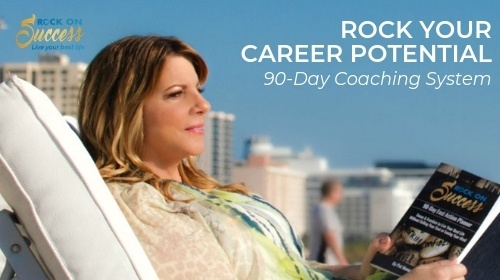 Take charge of your career shift to improve mindset, skillset and toolset you'll need for a quantum leap over the next 90 days: Pat Roque's soul-searching system teaches exactly HOW to create a career and life you'll love, attracting your dream role. Learn the secrets of my LinkedIn ProFinder success that explodes my inbox with qualified, high-paying leads. Master the best professional sales lead source I've found WITH NO paid ads! Lawyers, coaches, Web, IT, 140 expert hot topics. It ROCKS! If you've ever dreamt of putting your big ideas into a course, the time is NOW. Share your genius with the world so you don't have to teach one person or one live class at a time. The solution is HERE. Learn how to ROCK your online course! ROCK Your Career in New Year with this unique VISION BOARD DIY Workshop. You deserve a magical moment to dream out loud about what's most important to YOU! Focus on your goals & gratitude. Create a smart 90-day plan to manifest your best life!